Ludwig van Beethoven’s first printed work was a set of variations – published in 1783 when he was only twelve years old – and his final keyboard composition was the massive set of thirty-three variations on a theme by Anton Diabelli, composed almost four decades later. Not counting the several movements in variation form included in the sonatas, his twenty-one sets of piano variations thus trace a line of development in his production, parallel to those formed by the 32 piano sonatas or the 16 string quartets. 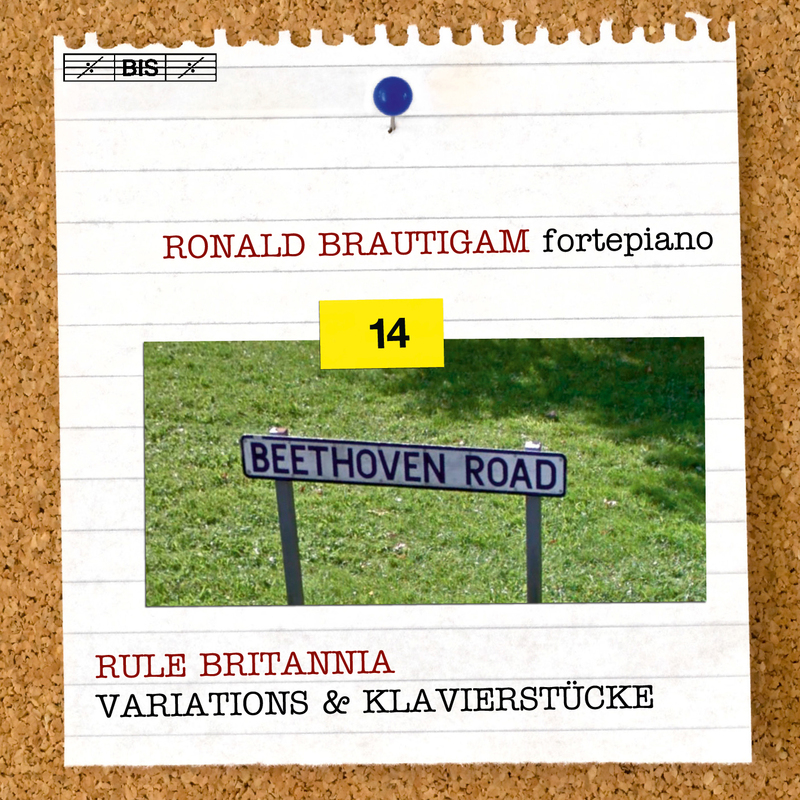 On this the 14th volume in his acclaimed traversal of Beethoven's keyboard music, Ronald Brautigam performs five sets, composed between 1802 and 1809. In three of these Beethoven uses themes of his own, including the Ruins of Athens Variations, Op.76, nick-named after the play for which Beethoven later wrote incidental music, reusing the martial theme in a 'Turkish march'. The two remaining sets both use English themes; Beethoven’s choice of God save the King and Rule Britannia may well reflect his often expressed respect for that country – as well as his interest in the English market for sheet music. 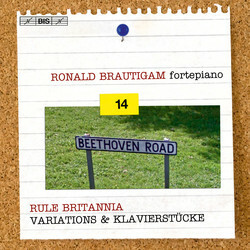 As the final part of the programme, Brautigam includes a selection of smaller pieces, most of them of an earlier date than the preceding variations. Some of these are probably student pieces, in particular the Preludes Op.39 and WoO 55 and the Fugue in C major, fruits of the counterpoint exercises Beethoven was assigned by his first teacher, Christian Gottlob Neefe, and by Johann Albrechtsberger. Six dances close a disc that offers many opportunities to glimpse another Beethoven than the composer we all believe we know.